Curriculum Vitae, Mark A. Lewinter, L.Ac. Mark A. Lewinter, L.Ac. has a Master of Science degree in Oriental Medicine from Southwest Acupuncture College. His interest in studying Oriental Medicine started at age thirteen when he was diagnosed with cancer. While undergoing chemotherapy, he also incorporated alternative medicine to facilitate his recovery. From that experience, Mark knows the importance of holistic medical care. He is a Diplomate of Acupuncture and a Diplomate of Chinese Herbology by the National Certification Commission for Acupuncture and Oriental Medicine. Mark’s interest in the treatment of PTSD, anxiety and other trauma related mood disorders led him to extensively train and become a certified Somatic Experiencing Practitioner. For ten years, Mark served as a board member of the Georgia Association of Medical Acupuncturists. He was a member of the Acupuncture Advisory Committee of the Composite State Board of Medical Examiners for four years. 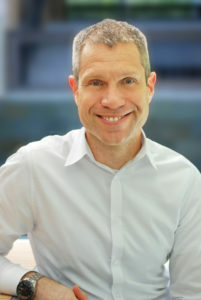 Mark is also a Fellow of the American Board of Oriental Reproductive Medicine, and therefore is a specialist in treating infertility with acupuncture. He is licensed to practice acupuncture in Georgia, South Carolina, and Alaska.